— Albert A. Schellhaas of Kenner, Louisiana, age 88, died Tuesday, August 28, 2018 at Passages Hospice in New Orleans following a brief illness. He joins his beloved wife Betty B. Schellhaas who predeceased him in 2006. He leaves his sons: Wayne A. Schellhaas, Kirt L.Schellhaas, Scott A. Schellhaas, his daughter-in-law Michele Dauterive Schellhaas, his son-in-law Malcolm Boyer, his grandchildren Scott Schellhaas Jr., Ryan Schellhaas, Brad Schellhaas and Jena Schellhaas. He also leaves behind numerous nieces, nephews, cousins and many close friends. Born and raised in New Orleans, La, the son of Albert A. Schellhaas Sr and Claire Jordan Schellhaas. Mr. Schellhaas was a lifelong resident of the New Orleans area. He was a graduate of S.J. Peters High school and attended Tulane University. He retired from Amstar Corporation (Domino Sugar) where he ran the Chalmette Sugar Refinery among his many high level positions. Mr. Schellhaas was a veteran and served his country in the U.S. Navy. An avid singer, Mr. Schellhaas sang barbershop music for over 60 years with the Mardi Gras Chorus. The Mardi Gras Chorus raises money to help children with hearing issues. 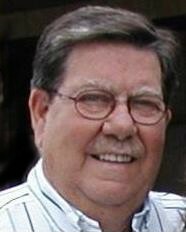 In addition, he was a devoted member and choir participant at Christ the King Lutheran Church in Kenner for many years. Visitation will be at Greenwood Funeral Home Wednesday, September 5 from 11 AM to 1 PM. The Address is 5200 Canal Blvd in New Orleans. A brief service and reception will follow. In lieu of flowers, the family is requesting donations to the American Cancer Society.